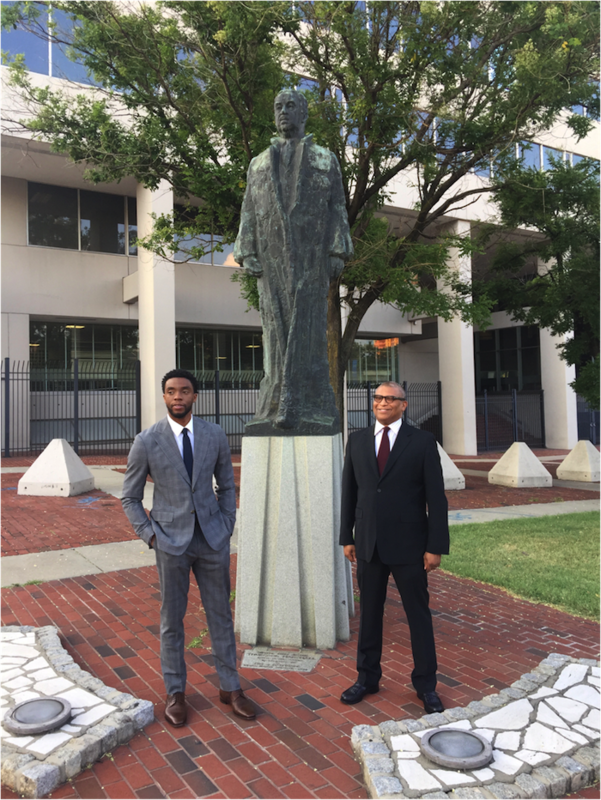 Chadwick Boseman and I in front of the Thurgood Marshall statue in Baltimore. 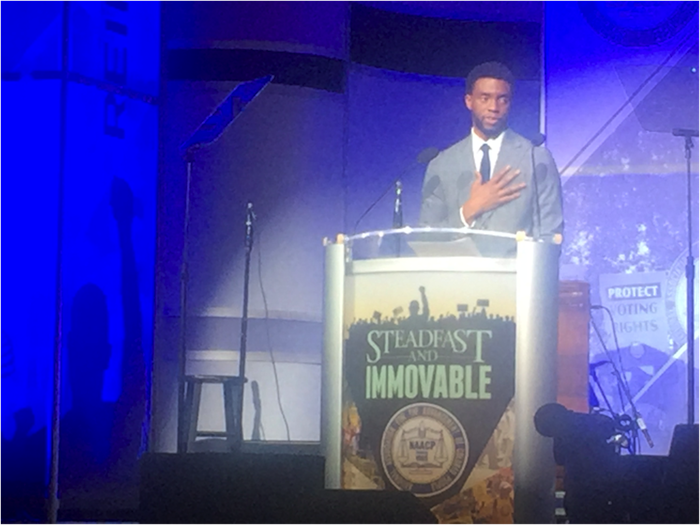 Chadwick Boseman and I appeared at the NAACP convention in Baltimore to host a special preview of MARSHALL, who founded the NAACP Legal Defense Fund. 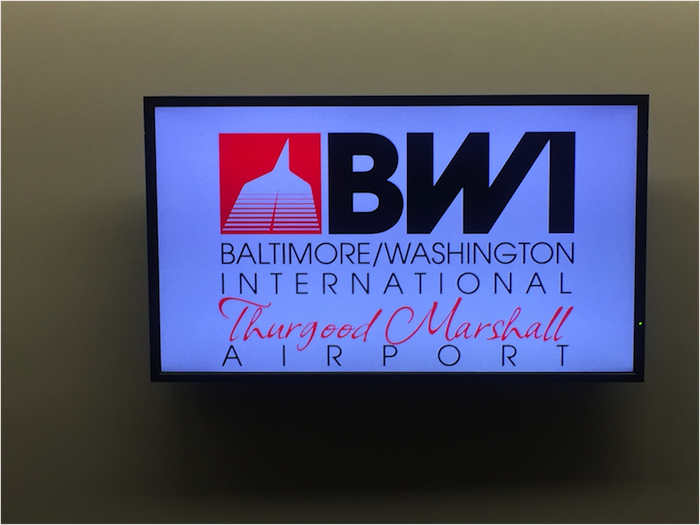 The journey begins with an arrival at the Thurgood Marshall Airport. Which, in my opinion, needs a statue of Thurgood. 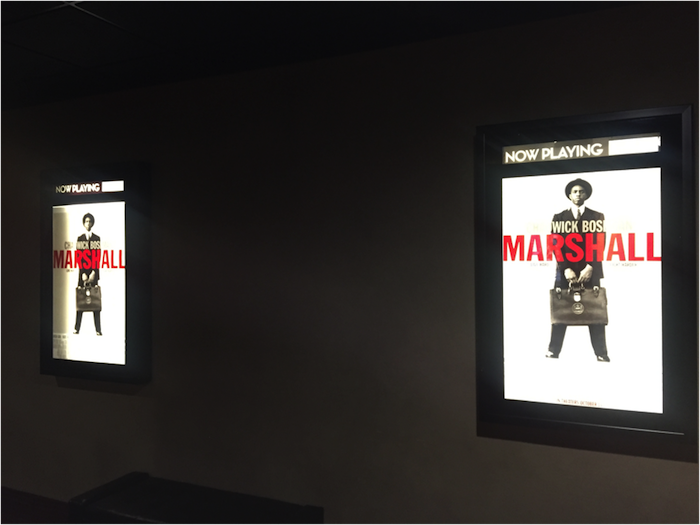 Very exciting to the Marshall poster on display in a movie theater! 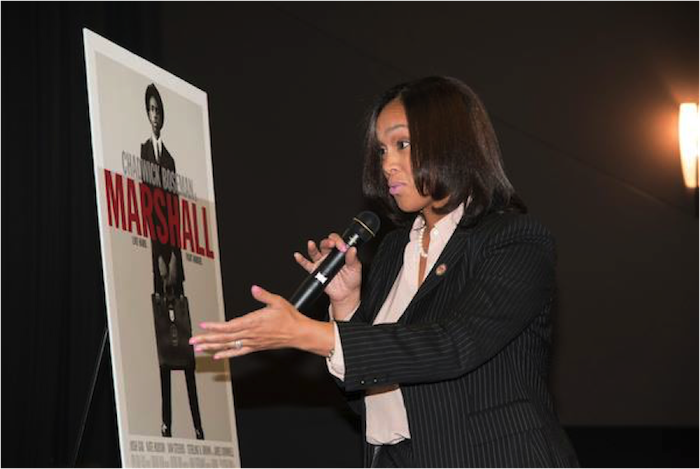 Modern day civil rights hero Marilyn Mosby talks about her impressions of the film. 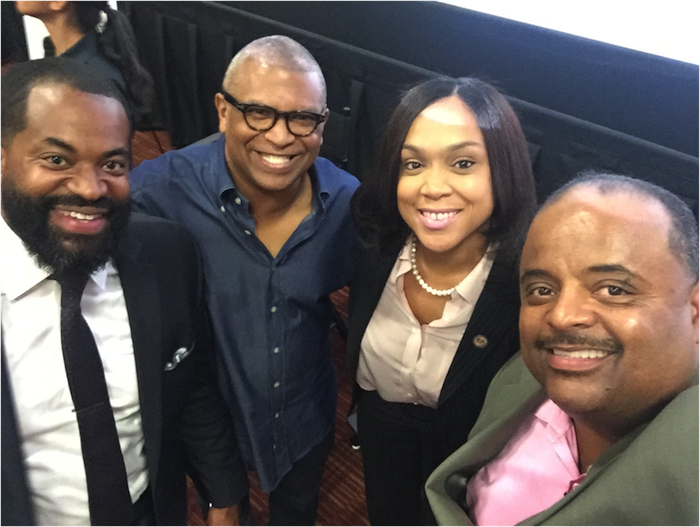 Nick and Marilyn Mosby with myself and host Roland Martin after the screening. 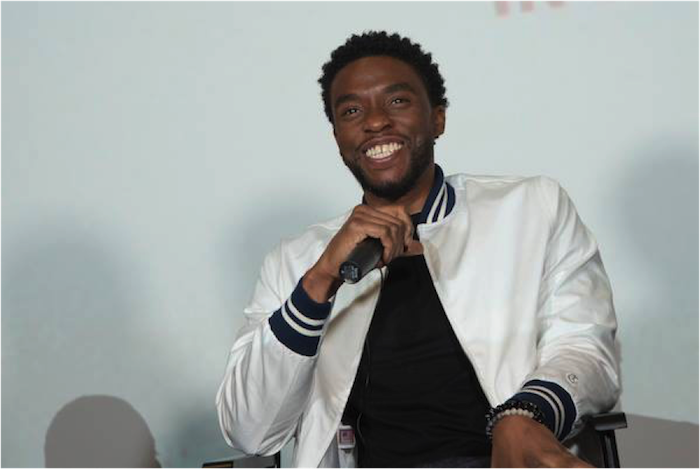 Here’s a clip from the Q&A from an audience member. 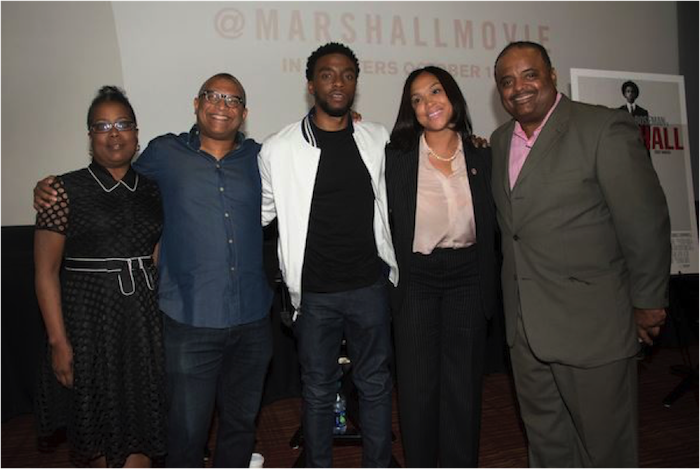 NAACP’S Robin Harrison, Chadwick Boseman, Marilyn Mosby and Roland Martin after the screening. The audience loved the trailer for the film. 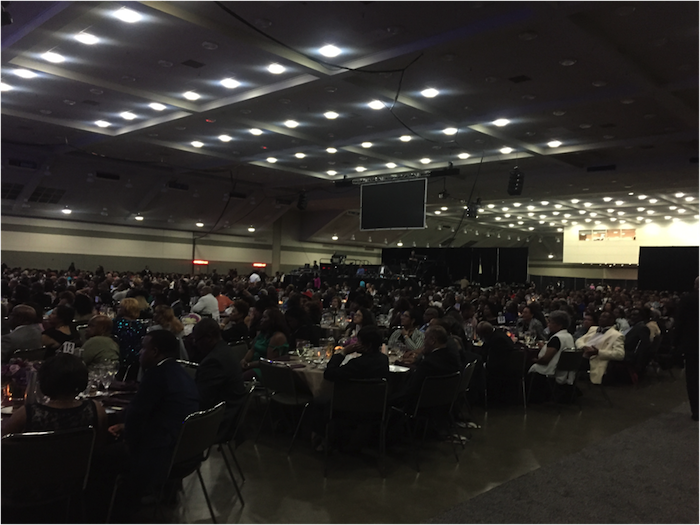 Chadwick gave a brilliant and challenging speech in his keynote address at the closing of the NAACP convention. 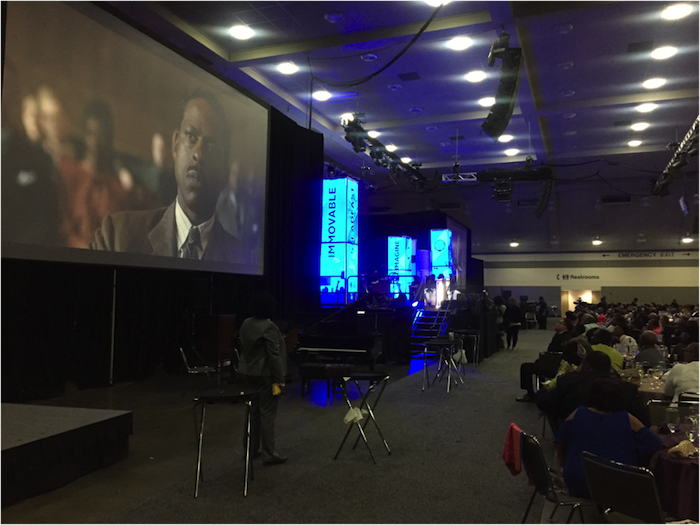 The crowd burst into applause throughout.